With Lunch, a Glass of Featured Wine to Toast is on the House! 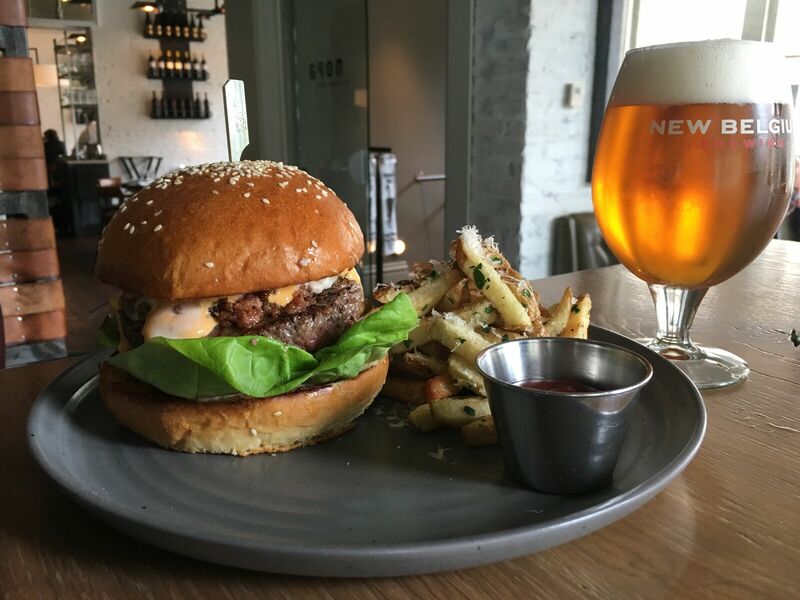 nopa Kitchen + Bar, located in the heart of Penn Quarter at 800 F Street, NW, will celebrate five notable years of service by rolling out a new Market Lunch Menu. Fans of the 160-seat American brasserie can enjoy a tempting menu featuring 16 rotating seasonal dishes crafted by Executive Chef Matt Kuhn. The menu will change weekly. Guests can savor this special lunch menu beginning March 12th continuing through the summer season, Monday through Friday, from 11:30 AM to 2:30 PM. Additionally, those who dine for lunch will enjoy a celebratory glass of featured white or red wine compliments of the restaurant. Market Lunch dishes range in price from $6-$12 for appetizers and $13-$22 for the main course making this a value-oriented and delicious midday break experience. The first Market Lunch menu is posted below. nopa Kitchen +Bar is located at 800 F Street, NW, Washington, DC, 20004. Hours of operation are Monday through Wednesday, from 11:30 AM to 10:30 PM; Thursday, from 11:30 AM to 10:30 PM; Friday, from 11:30 AM to 11 PM; Saturday, from 5 PM to 11 PM, and Sunday, from 11 AM to 9:30 PM. Brunch is served Sunday, from 11 AM to 3 PM. Valet parking is available in the evenings. For reservations or additional information, please call (202) 347-4667 or visit www.nopadc.com.